Patten was charged with illegal lobbying as well as conspiring to circumvent the USA law that bans foreign donations to election campaigns and presidential inaugurations. W. Samuel Patten, 47, was sentenced to three years probation, ordered to complete 500 hours of community service and ordered to pay a $5,000 fine after pleading guilty in August 2018 to violating the Foreign Agents Registration Act (FARA) by failing to register as a foreign agent for his work on behalf of the Opposition Bloc, a Ukrainian political party. Patten himself expressed contrition, reportedly telling Judge Amy Berman Jackson (who also sentenced Paul Manafort) that "I behaved as though the law didn't apply to me, and that was wrong". According to reports, 47-year-old Patten pleaded guilty in August last year to contacting United States legislators and news media organisations on behalf of a Russia-aligned political party in Ukraine called the Opposition Bloc without reporting that work to the Justice Department, in violation of the Foreign Agents Registration Act (FARA), among other offenses. He also withheld documents from the Senate Select Committee on Intelligence.A condition of his probation is that he continues to participate in a mental health treatment program. Separately, prosecutors filed charges Thursday against former Obama White House counsel Greg Craig, accusing him of lying to the government to hide his own work on behalf of the government of Ukraine. Patten used another American as a "straw purchaser", funneling the Ukrainian's money secretly to the inaugural committee through a Cypriot bank account, prosecutors said at his plea. Jackson said Patten's conduct was also "markedly different" from that of former Trump campaign chairman Paul Manafort, who carried out a years-long conspiracy to launder money, evade USA tax authorities and covertly influence American policy makers on behalf of Ukrainian interests. 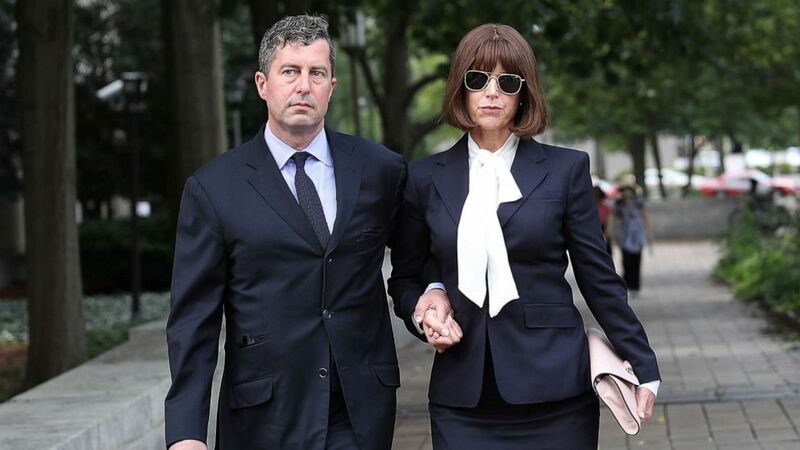 Samuel Patten (L), a former associate of Paul Manafort, arrives at U.S. District Court for his sentencing hearing April 12, 2019 in Washington, DC. The document sought to legitimize the prosecution of former Ukrainian Prime Minister Yulia Tymoshenko. Craig has called the prosecution against him "unprecedented and unjustified".